​Beneath the golden desert and azure seas of Morocco lurks a hidden world of greed, deceit and financial terrorism. But the players are not who you might think. Lured away from his seemingly idyllic life as a managing director for a major international bank in Toronto, Eric Martin returns to his ancestral roots in Morocco. After a really hectic day of work - something that seems to be de rigueur at this moment - it 's always a welcome distraction to pick up an engaging work of fiction. 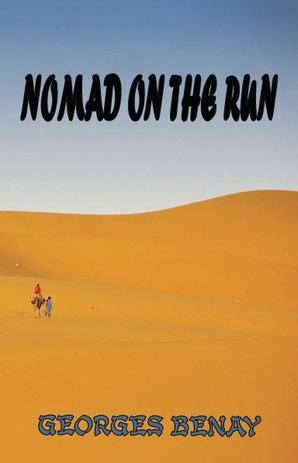 Nomad on the Run by Georges Benay did not disappoint. 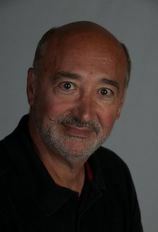 The author's previous career in banking and extensive travels allowed him bring his characters and settings alive. I could picture them in my mind as I read. 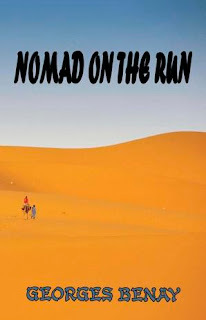 Nomad on the Run offers a great range of characters, unique settings, danger and romance all combine in this unique tale of international intrigue. personal danger and global threat. The main character, Eric Martin, is a financial wizard looking for change in both his professional and personal life. When an offer comes in to work in exotic Morocco the answer is yes. This move will not only bring a breath of fresh air to his career, it will allow him to connect with his ancestral roots. After settling in, though, it quickly becomes clear that all is not as it seems. Dark clouds begin to form. The world is faced with shady dealings that could bring financial ruin and fund a radical terrorist organization. In the middle of it all, Eric finds himself falling in love with Valerie, the daughter of his boss. Can their relationship survive the chaos surround them? Even more important can they survive? And can Eric find a way to stop the plot before it is too late?